Mamata Banerjee’s mega rally in Kolkata had one notable absentee. Although many in the Who’s Who of opposition stalwarts graced the occasion, Rahul Gandhi was conspicuous by his absence. While some like Andhra Pradesh Chief Minister Chandrababu Naidu, who overcame his party’s deep animus against the Congress in Rahul’s company during the recent assembly elections, was present along with the DMK’s M.K. Stalin, who had recently proposed the Congress president’s name for the Prime Minister’s post if and when the opposition mahagathbandhan won the general election, his hero was nowhere to be seen. His place was taken by the Congress’s Mallikarjun Kharge. But the void was palpable. It was like staging “Hamlet” without the Prince of Denmark. True, Mayawati was also absent with her confidant, Satish Mishra, representing her. 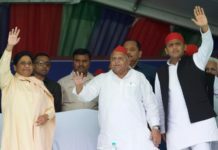 But she has recently been following a temperamental line of her own, abruptly breaking off ties with the Congress in Madhya Pradesh and Chhattisgarh, and seemingly dictating the terms for her alliance with the Samajwadi Party’s Akhilesh Yadav in UP. She may be a little more reliable at present than, say, Odisha Chief Minister Naveen Patnaik, who is acquiring the reputation of being a fence-sitter par excellence. But her absence as well as that of Patnaik will lend substance to the BJP’s charge about the gathbandhans being no more than a messy khichdi or a motley combine. It is possible that Rahul’s presence would have been an adequate riposte to the BJP’s jibe if only because, first, he has become a far more effective and aggressive speaker than in the past, who would have undoubtedly been a major attraction at the show. 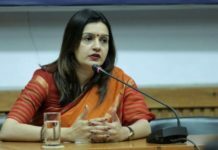 However, it is because the Congress has succeeded in picking itself up from the floor after its 2014 drubbing that the party has become the primary target of Prime Minister Narendra Modi’s criticism at virtually all his rallies while the BJP is no longer insisting on ushering in a Congress-mukt (free) India. It is also possible that since the much-criticized Nehru-Gandhi dynasty was at the Congress’ helm during its heyday, Rahul’s presence would have recalled some of the memories of those days, at least for the ordinary people if not the chatterati. It is not impossible that Mamata Banerjee’s objective in staging the rally was more to project herself than to act as a catalyst for forming a grand alliance of anti-BJP parties. Her claim that the regional parties would be the BJP’s main opponent in the forthcoming general election was possibly a metaphor for her own ambitions about which her acolytes have been more vocal than the West Bengal chief minister herself. But it is precisely this kind of a self-serving agenda which will play into the BJP’s hands and raise the spectre of opportunism being the guiding force of the national opposition. 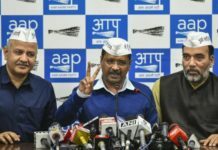 They will have to realise that the Modi government’s difficulties on multiple fronts – economic, social and even bureaucratic – give the opposition a unique opportunity to forge ahead. The chance should not be recklessly squandered by the flaunting of inflated egos.